How to get shiny hair just like this? Our hair is exposed to numerous chemicals, pollution, humidity, the sun and so much more each day that it is no wonder that human hair becomes dry and rough like sand. You can use mayonnaise as a deep conditioner, leave on for an hour using a shower cap and rinse it off. For people with dry hair, rub mayonnaise onto your hair and scalp and work it until the tips. For people who have rather oily hair or scalp, avoid getting mayonnaise onto your scalp and work your way from the tips to as near as the baseline. Crack a few eggs depending on the length of your hair. Set aside the egg whites. Use the egg yolks and whisk them up with olive oil. Apply it on already wet hair and leave on for 5 minutes. Rinse off with cold water. Make some honey lotion by combining 3 tablespoons of honey and a pint of water. Apply it onto hair and rinse thoroughly. Combine one avocado and one banana. Mash them and add in 1/2 tablespoon of almond oil. Massage the mixture onto your hair and leave on for one hour. Rinse off with lukewarm water. Simply make use of 4 tablespoons of aloe vera gel, 1 and 1/2 tablespoons of coconut oil and 3 tablespoons of plain yogurt. 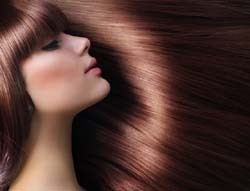 Mix well and apply the mixture onto your hair. Leave it on for 30 minutes and wash off thoroughly. Sounds easy right? Yeah…I bet you will agree with me. Let me know how you feel after apply these on your healthy hair. To read more articles, remember to visit my blog site. Getting a burn is no joke. It stings, is painful and can even bring you to tears. Whatever the cause is – scalding hot water, the metal plate of the iron you accidentally bumped into or forgetting to wear kitchen mittens while picking up that wok, a burn needs immediate relief. 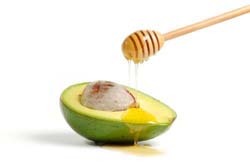 Unless you’re suffering from third degree burns brought about by chemicals, open fire and other more lethal causes, these home remedies will help relieve that minor burn sting. 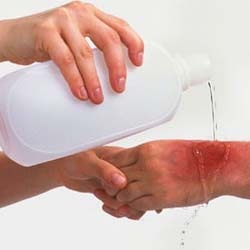 The first thing you can do if you get a burn is to use cool water. Run cool water on the burned skin for at least 10 minutes. The cool temperature will help restrict the burn and the damage to a certain part and prevent it from spreading. Pour some diluted vinegar on your burn. Vinegar is one of the oldest and most trusted home remedy for burns. Simply dilute vinegar with water in equal parts and apply it onto your burn by pouring directly or even soaking up the burned part with the mixture. Vinegar helps remove the sting and relaxes your skin too. Apply aloe vera onto the burned skin. Gather some aloe vera leaves and split open. You can gently apply the gel onto your burned skin. Aloe vera can help kill the pain and aid in faster recovery from the skin burn. Black tea can also help relieve skin burn. Using 2 or 3 tea bags, let seep in cool water and apply the tea to the burned skin. If you like my articles, please share with your friend and family. To read more articles, please visit my blog site. Spent too much time out in the open? Whether you were aiming for that perfect tan or just trying to have a good time outdoors, too much sun exposure can lead to red sunburned skin. 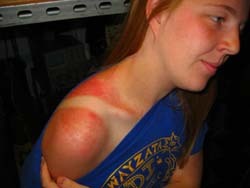 Although sunburn does heal after some time, its initial phase will have to include pain and hot spots. Luckily, you can whip up sunburn relief from your very own kitchen and enjoy a pain free tan. Soak up with baking soda. Simply add 4 tablespoons of baking soda or more to cool bath water. Soak in it for 20 minutes and air dry. Do not use a towel to dry your skin and do not remove the baking soda from your skin. Baking soda is a good sunburn soothing agent. If you don’t have baking soda, try adding oatmeal instead. Just mix in 1/2 cup to 1 cup of oatmeal or oatmeal powder into your cool bath water and go for a 20 minute soak. Like baking soda, do not towel dry and make sure not to remove oatmeal from your skin. Use aloe vera on your skin! Indeed, this classic remedy still works miracles. 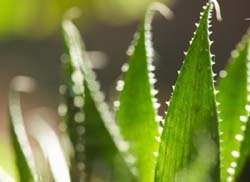 Simply slit open some aloe vera leaves and apply the gel onto your skin. Aloe vera helps soothe the pain brought about by sunburn and can help subside the reddish color of a sunburn. Try applying cool milk to your sunburn. You can use a cloth or gauze. 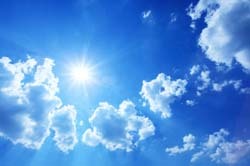 Milk helps ease the discomfort of sunburn by creating a protein film on your skin. Take in plenty of fluids. Spending too many hours outdoors not only dehydrates and burns your skin but also dehydrates your whole body. Replenish lost fluids by taking in more water. This can also help sunburn heal faster. No matter what, when you expose your skin under the sun, always take some nessasary protection from exposing directly to the sun such as wearing hat, long sleeves shirt etc. This can reduce the chances where your skin gets burn. Do not forget to find out more articles at my Natural Health Care Reviews site. Heartburn is one of the most bothersome and irritating outcomes of eating too much spicy and fatty food. In most cases, people experience heartburn during night time while lying on their back. 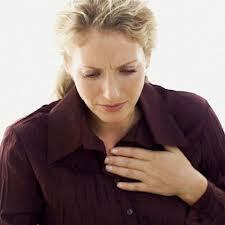 Heartburn is mainly due to excess acids in your stomach that make their way to your esophagus. The stomach acids that are now in your esophagus give you a burning, tingling feeling in your chest – and almost feel like your heart is burning. Unless you have stocked up on some over the counter drugs for heartburn relief like Prilosec, the following natural home remedies for heartburn will most definitely help make you feel better. Baking soda or sodium bicarbonate works best to relieve heart burn. Simply mix ½ to 1 teaspoon of baking soda with a glass of water and drink it. Baking soda will help neutralize stomach acids as it is a base. However, doctors do not recommend frequent usage of baking soda for people who have heartburn regularly as it can cause side effects like nausea and swelling. Drink aloe vera juice with laxative components removed. According to doctors, aloe vera can reduce inflammation in the esophagus and the stomach, bringing relief to heartburn. It may surprise you, but chewing gum can actually help relieve yourself of heartburn! Chewing gum can trigger the glands in your mouth to release more saliva. Saliva is an acid buffer and can help give comfort to your heartburn. More saliva production also prompts you to swallow more which can push back the stomach acids and keep them out of your esophagus. Besides, there are 5 natural remedies for heartburn you show try to relief you discomfort at home. Free feel to share your heartburn relief experience with my readers.